Xilisoft WMA MP3 Converter is a professional WMA to MP3 converter to convert WMA to MP3, and a MP3 to WMA converter to convert MP3 to WMA. The WMA to MP3 and MP3 to WMA conversion is performed with high converting speed and stable quality. Moreover, Xilisoft WMA MP3 Converter also supports converting other audio formats such as WAV, AAC, M4A, and OGG to MP3. Kinds of encoders are offered for you to select freely on demand. Also, you can edit and reserve the ID3 tag with ease, or get dulcet music by extracting the audio from video files. Besides, the handy interface of the WMA converter and MP3 converter allows easy navigation and performs all processes with just one-click. 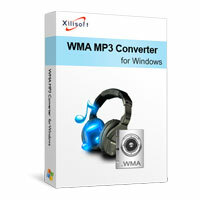 Xilisoft WMA MP3 Converter helps you to convert WAV files to MP3 or the other way around. Other audio files are also supported: AAC, M4A, WMA and MP2. If you like a certain music or audio clip from a video, you can convert it and convert it into MP3 file so you can play them on your MP3 players. There are several encoders installed: Lame MP3 Encoder, ImTOO WAV Encoder, and ImTOO MP2 Encoder. 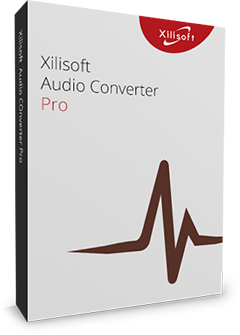 Xilisoft WMA MP3 Converter will bring you more surprises in conversion between audio formats. Convert in batches to save time; Xilisoft WMA MP3 converts in multithreading technology, meaning it converts faster.